A blog is a lot of things — it’s planning, creation, promotion, analytics, and etc. It’s a lot of things that can apply to your real life. 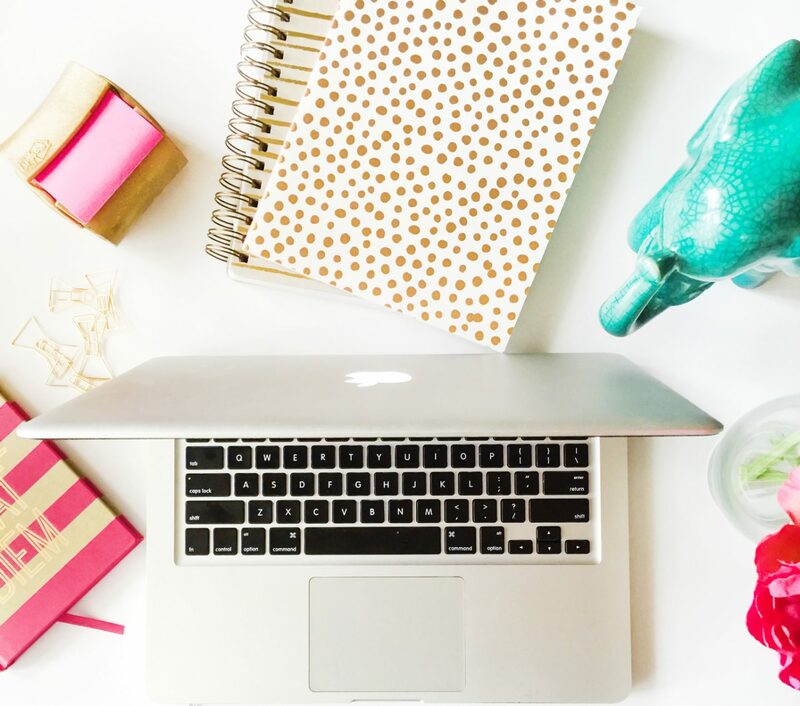 It doesn’t matter if this is a hobby or a side hustle or your full-time job, your blog is work that should be accredited for. You put in the work and you strive to be better, you learn and you invest so give yourself credit. It’s hard work, let’s be real. You are working across platforms and putting together designs, your blog is one of your jobs. It can be part-time or full-time but it’s a job in the sense of how much work you put into it. I don’t know if you know this or not but a blog can make a really good impression — I added mine to my LinkedIn and recruiters have mentioned it to me, to my surprise. Blogging has become a great pitch especially if it’s relevant to your field. How is my blog relevant to my skills? I work in marketing — social media to be more specific and we work with bloggers so I really know what I’m doing when they start looking for influencers. We talk to people that reach out to our brands, your blog is your brand. Your blog is your work. Take that work and show it off. Just like contributor spots are considered resume pieces, your blog, and skills deserve a spot to shine. 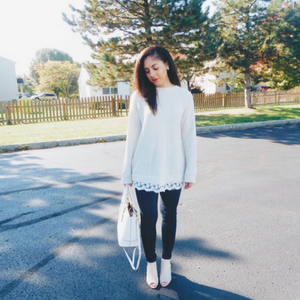 I used to shy away from mentioning my blog but look how far it has gotten me? The skills I learned from understanding coding, design and strategy have all been useful for the position I am in. If you understand and can excel at something, do not brush it off and think it’s not a big thing. Celebrate your skills! Let’s talk about these skills that our blog is giving us. And don’t walk away and think these skills don’t mean anything because they do. Never play yourself. You have to find time to blog. In a world where no one wants to miss out on anything, you have to find time. If this is your full-time gig then you probably got time management down to some scope while other’s that are blogging for a side hustle or hobby have to find the time to write. It’s not easy when you have a million other things to do, trust me. You have to find the time to be dedicated and most of us do. We find moments or write notes to ourselves to create content. You are managing your time in so many ways, don’t sell yourself short. Analytics are the backbone of your blog — you’re figuring out what works and what doesn’t work by looking into the data behind it all. Not only are you looking into the data but you’re also using Google Analytics which is a tool that many social media monitoring tools tie into their programs. Listen, if you are looking at your data and analyzing what works and what doesn’t work, you are doing something. It’s not just looking at numbers, it’s trying to figure out what you should keep doing and what you should stop doing. Analytics are hard and you taught yourself that skill, be proud! Having a blog can lead to many connections! You’re meeting and talking to other bloggers and you are participating in blogger chats, that is networking. There might have been a day where you connected with a brand because of your blog, that’s networking once again. Don’t deny the idea that this is networking because it is. You are putting yourself out there in a world that is saturated but you’re meeting people and talking ideas, appreciate those blog and business friends, they’re important. Listen, this is big right here. You are doing A LOT. You put so much work into your blog. You get ideas and you work them out which become your blog posts. It’s not just putting together posts but you are planning and creating. Take pride in the fact that it is a skill — I work in Social Media Marketing and you know what we do? Strategic planning and creating. We put so much effort into this and it should be appreciated. You worked hard for what you put out and you need to credit yourself. Don’t act like this isn’t a skill because it is. If you can work in Illustrator, Lightroom, or Creative Cloud then you have design skills. You have some level of skill at this area and you need to give yourself credit for it. Not only are you putting together graphics, you are putting together an image. You are working on your brand and you put together something with skills that you have attained due to your blog. Design skills are legit and will more than likely be needed for a resume one day. 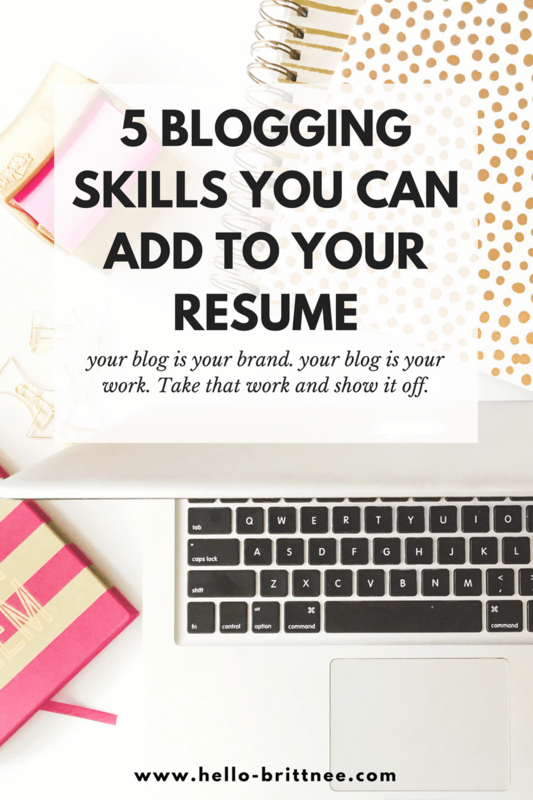 Don’t skimp out on your skills, blogging might be your passion but you can gain so much from it. Let yourself prosper, I count my skills and I have added what I’ve learned to my resume. From learning HTML to improving on my writing, I can count all those skills and I have. I know we sell ourselves short at times but we have to stop doing that, you need to stop doing that. Sell yourself, give yourself all the praise because you are putting in that work. Go you! Credit yourself. What are some other skills that you feel can be added to your resume that you’ve gained from blogging? Not to mention writing skills! Having a blog is really great for so many reasons and definitely sets you apart in application processes! Time management is such a big one! I feel like so many people actually have this skill but don't think about it. So many people struggle with Time Management that we should all be very proud to have mastered it!